Use the slider to change the angle of rotation, which is counterclockwise around the origin (point O). What patterns do you notice in the coordinates of P' as you perform rotations of 90, 180, and 270 degrees? 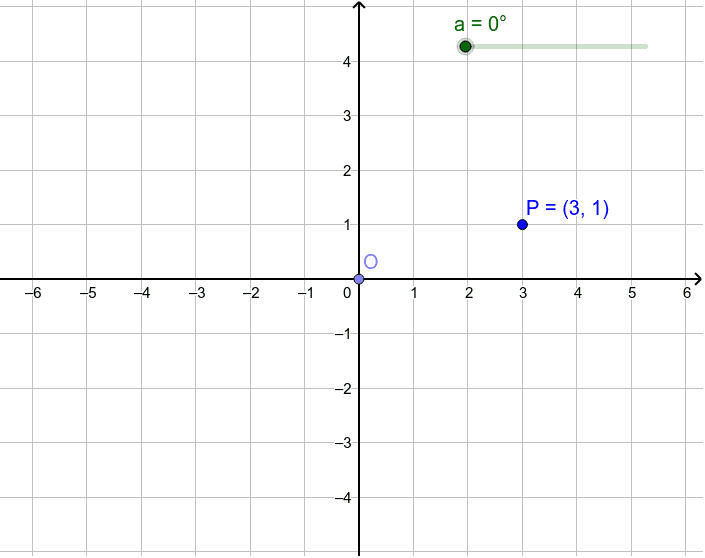 Do those patterns remain if you move the original point P? Try it to find out!